When we buy new tires of our vehicle, old one become useless. Either they occupy space in garage or go in trash. 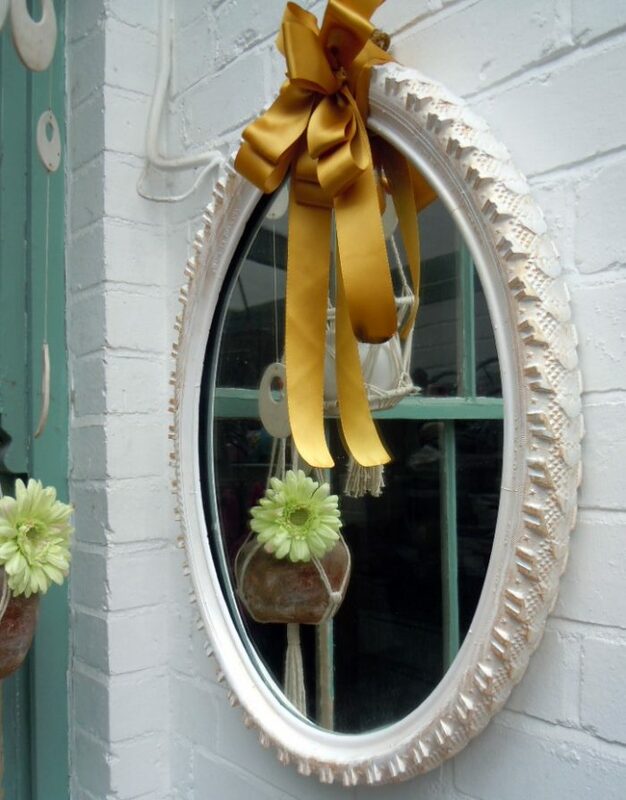 But we can also convert them into something beautiful and usable by following some easy DIY’s which are fun to do. 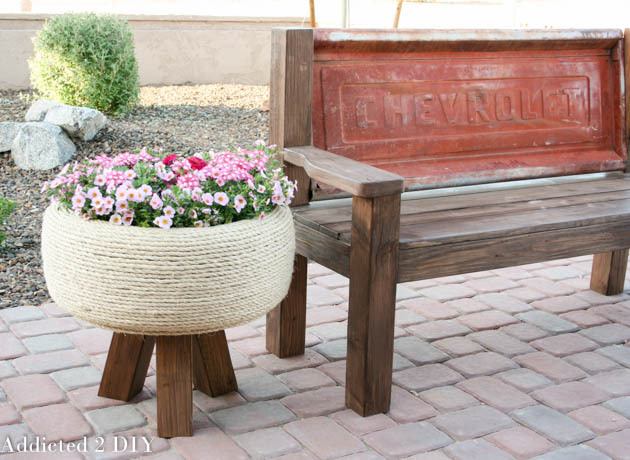 You can recycle your old tires into beautiful hanging planters, outdoor sitting furniture, pet bed, garden decor, storage etc. 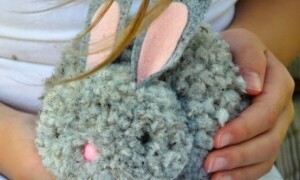 We collected 22 ways to recycle old tires, have a look at them. they are easy to do and great in usability ideas. 1. 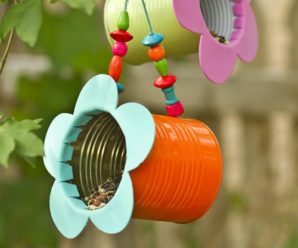 Hanging Tyre Flower Planter: Keep your old tires and turn them into an adorable hanging planter. 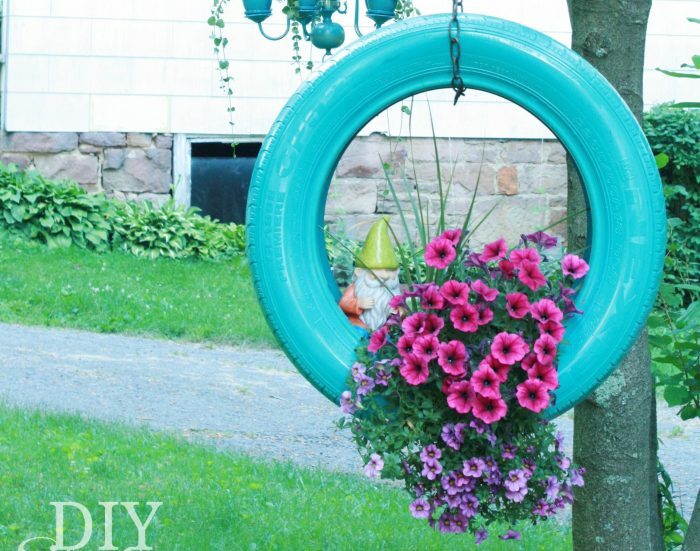 Tires are great for planting ornamentals like Hanging Tire Flower Planter. 2. Recycled Tyre Mirror Frame: Modify a bicycle tire as Recycled Tire Mirror Frame by cutting out the spokes and hammer in steel eyelets. 3. 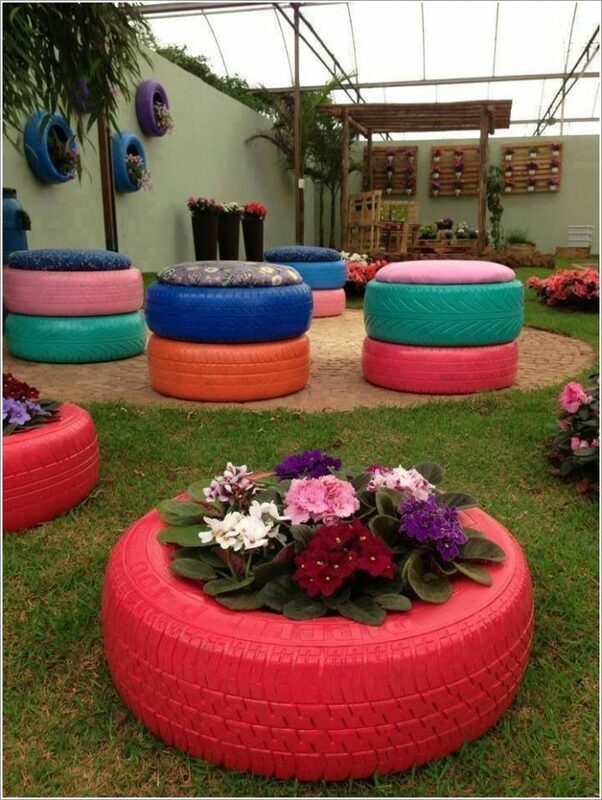 Recycled Tyre Seating: This is adorable. 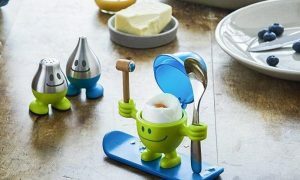 Such a great idea, super cute and extra storage and this might be a great Christmas gift. 4. 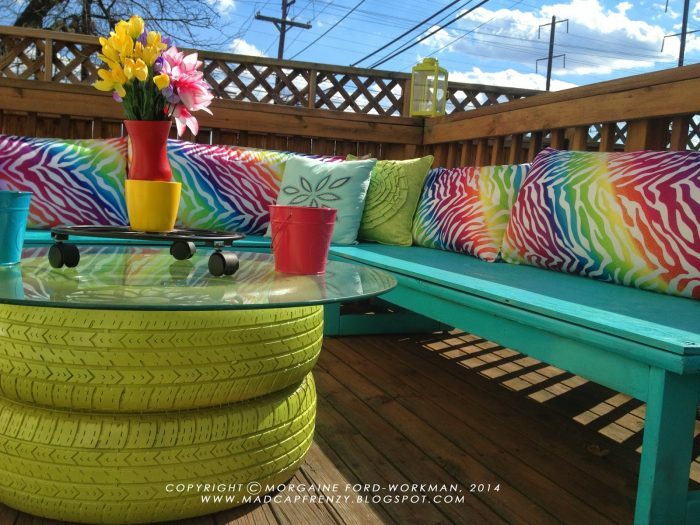 DIY Tyre Colorful Deck Seating: DIY Tyre Colorful Deck Seating is so nice. 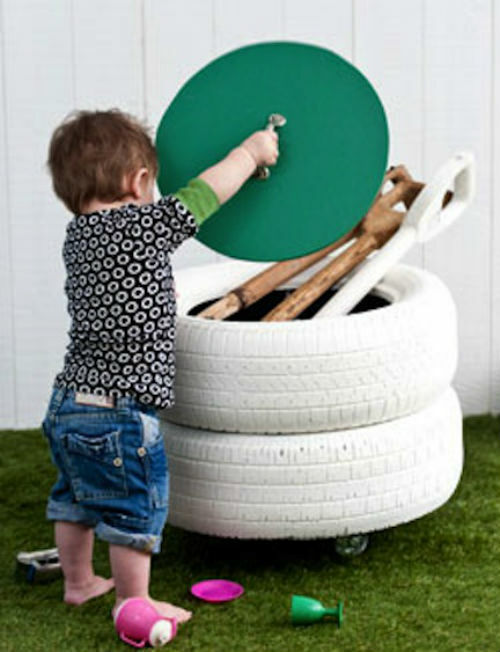 The bright, fun colors and your tire table is such a great idea. 5. 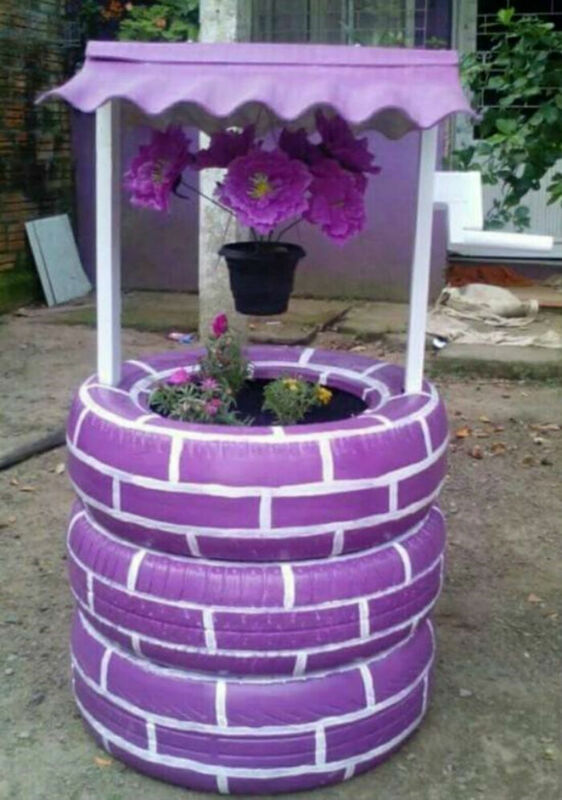 Recycled Tyre Planter Garden: Sprucing your garden or that corner without grace the outside corridor and even get rid of that old tire that you did not throw away, or that tire that is played on the street. 6. 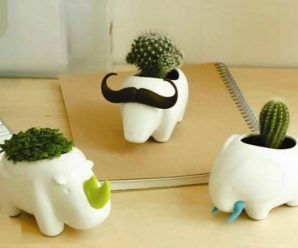 Tea Cup Tyre Planter: Tea Cup Tyre Planter can become eye catching pieces in your homes and gardens. It’s very simple DIY project using old tyres. 7. Unique Tyre Coffee Table: Unique Tire Coffee Table will be a unique pieces of furniture, something that nobody else can buy or replicate. 8. 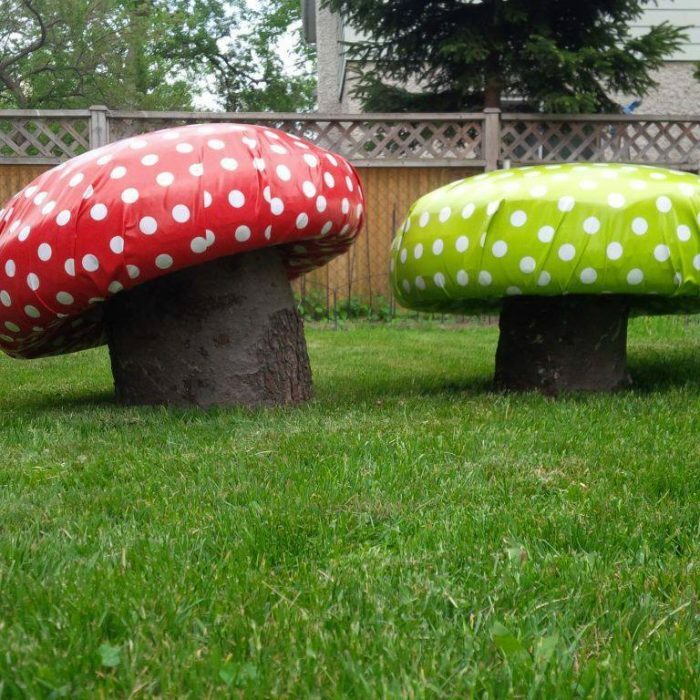 Fairy Theme Recycled Tyre Toadstools: Fairy Theme Recycled Tyre Toadstools might be one of the best recycling outdoor projects. 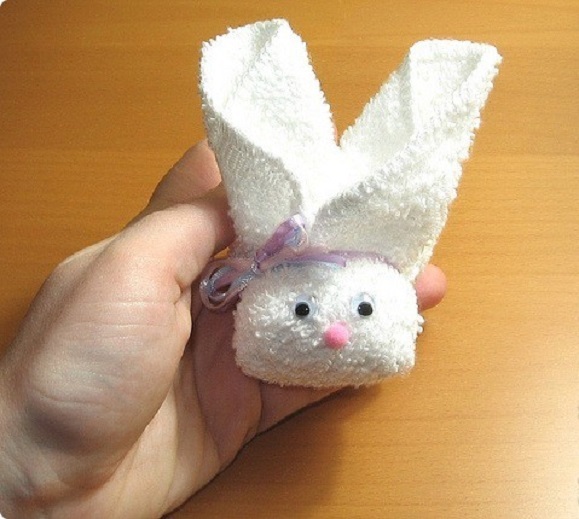 You’ll be surprised at just how easy these are to make. 9. 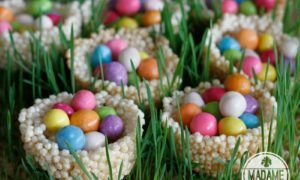 Rainbow Tyre Garden: Rainbow Tyre Garden is a good way to contribute to the cause of the environment. Definitely a great idea that needs to be carried forward. 10. 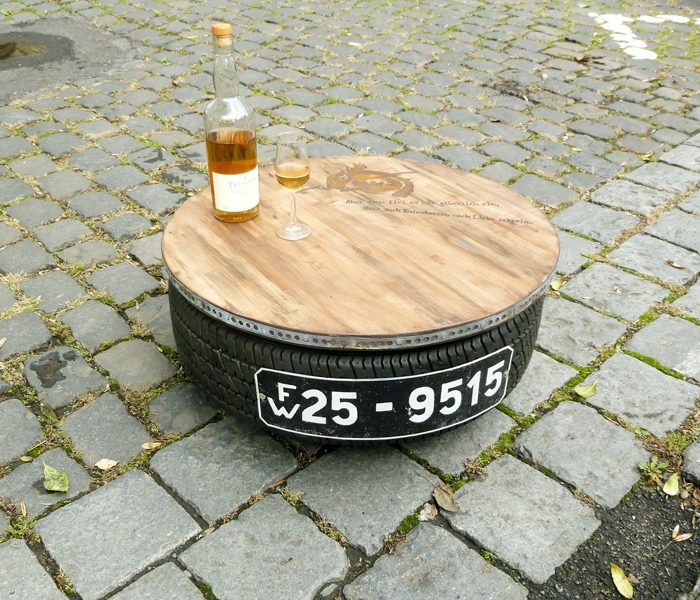 Outdoor Table with Recycled Tyre: Outdoor Table with Recycled Tyre good idea for an old tire. 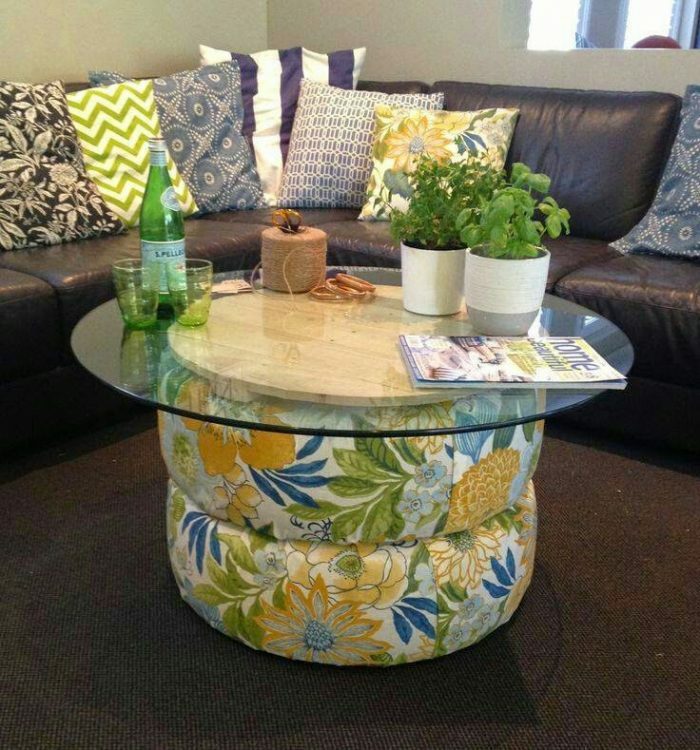 This table made by using a used car tyre and old kitchen surface with the help of a few screws and creativity. 11. Recycled and Painted Tyre Planter: Recycled and Painted Tyre Planter Wishing Well Planter is a beautiful addition to any garden or entertaining area. Just stack old tires together, paint with your favourite color. 12. 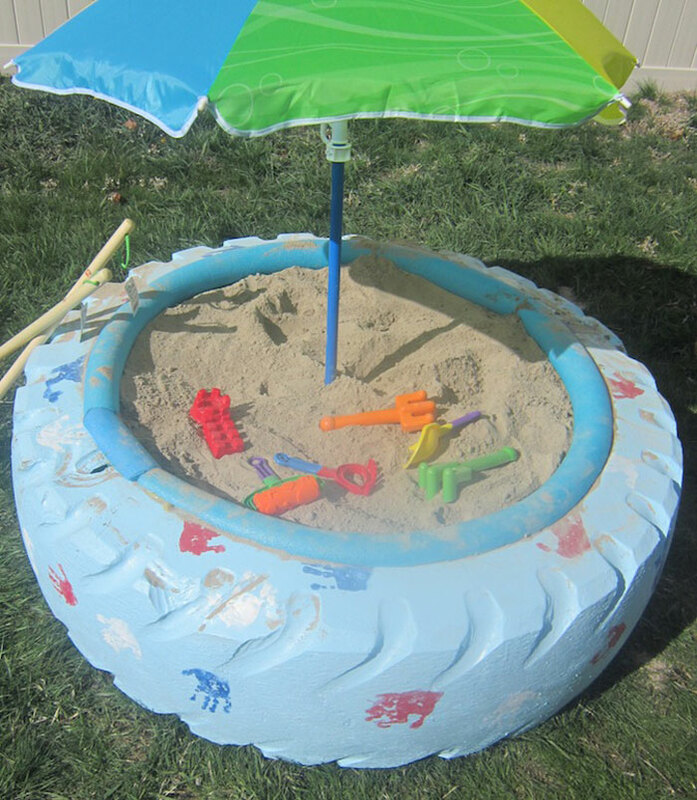 Sandbox With a Tyre: Sandbox With a Tyre is simply Fantastic. 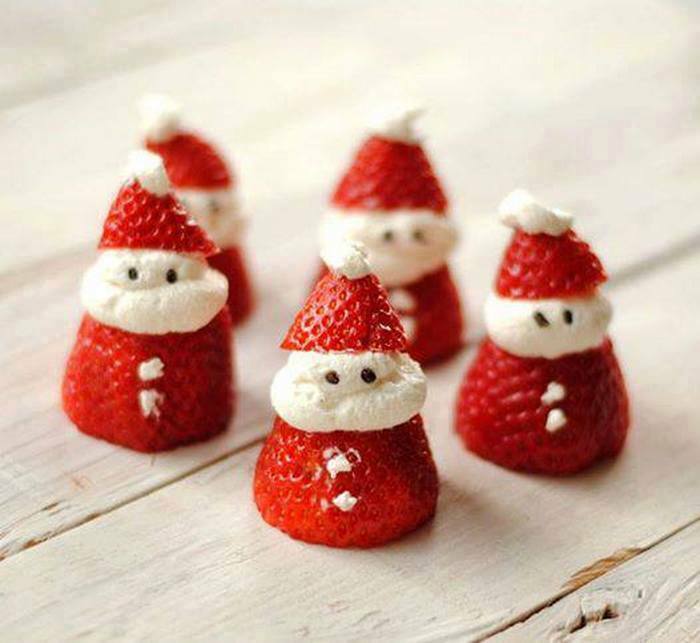 Great idea, looks so fun to make also. This is incredibly creative. 13. 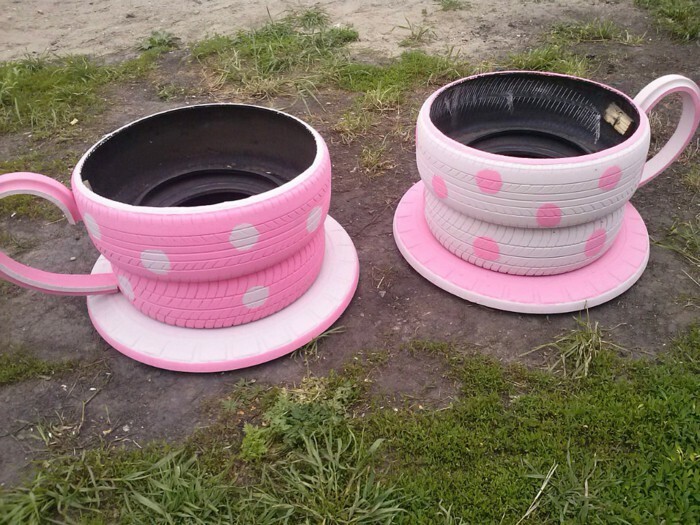 Creative Bathroom Tyre Sinks: Genune ideas for repurposing for old car Tyres. 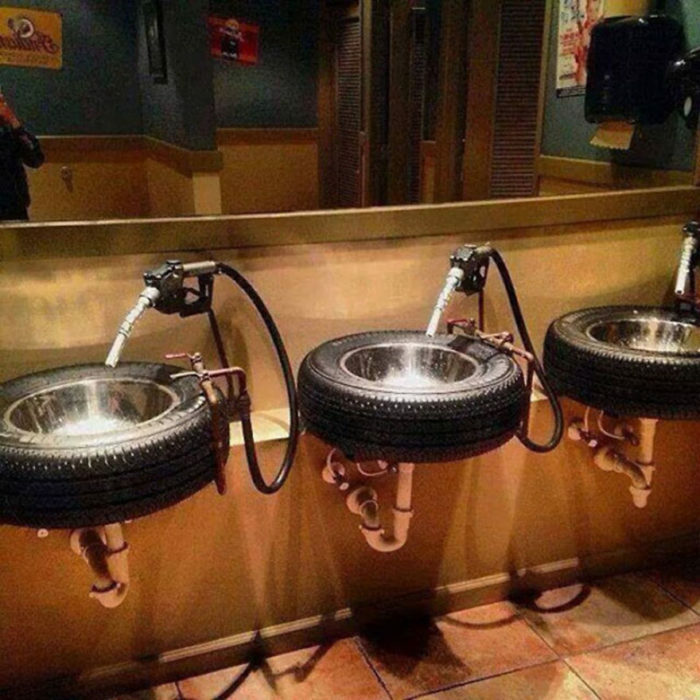 Creative Bathroom Tyre Sinks are really a creative idea. 14. 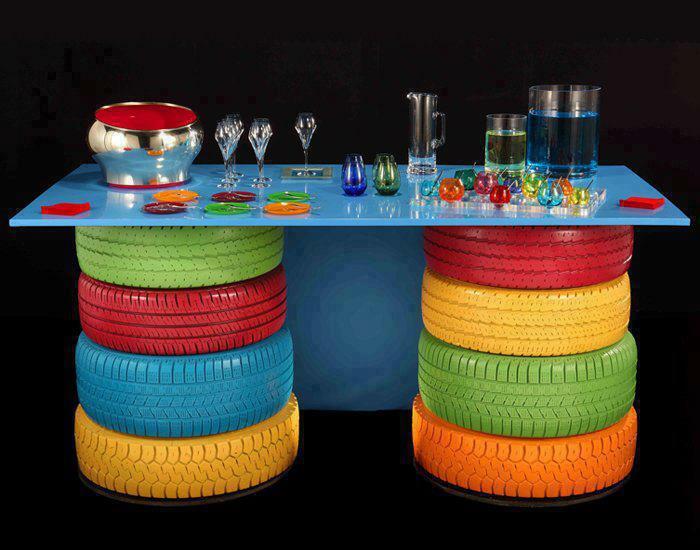 Decorative Table With Colorful Tyres: Decorative Table With Colorful Tires is a brilliant way to reuse and recycle Old Tires. 15. 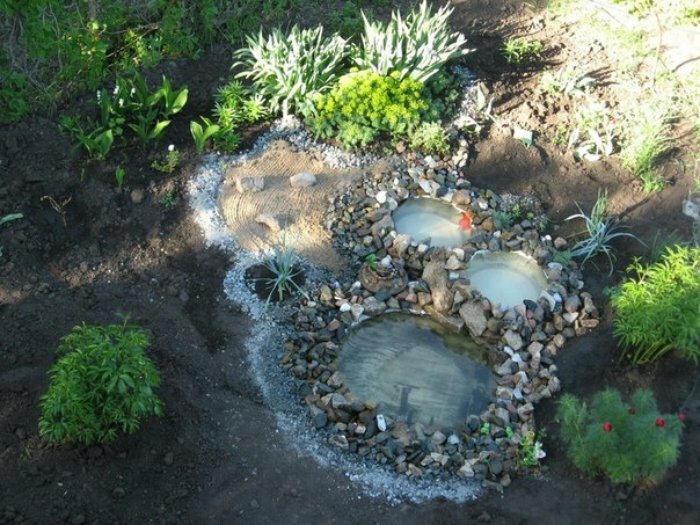 Water Pond Using Old Tyres: Create a decorative pond with Old Tyres. To pond long feast for the eyes you need to take care of that properly. 16. 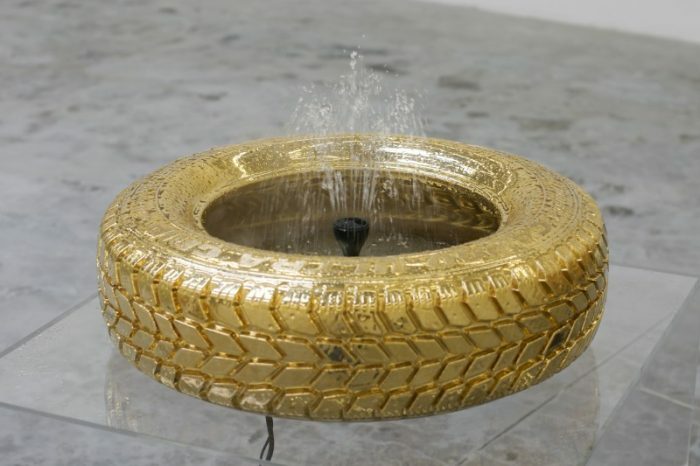 Tyre Turns Golden Fountain: Golden Fountain with Old tyre was a very creative idea when no one else had something better. The glamour is for the golden tone that coats. 17. 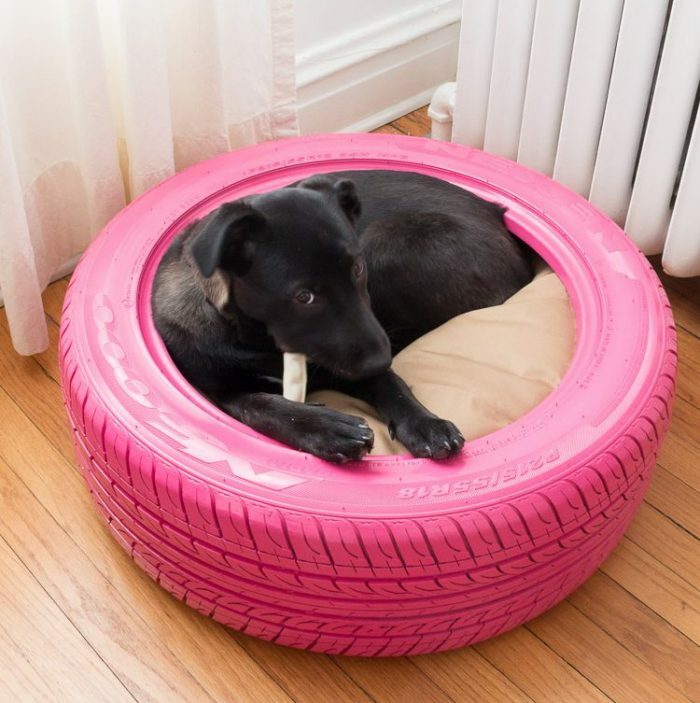 Recycled Tyre Dog Bed: Recycled Tyre Dog Bed is such a cute DIY project. 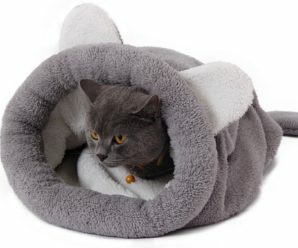 this seems like a really unique, natural fit for dogs. 18. 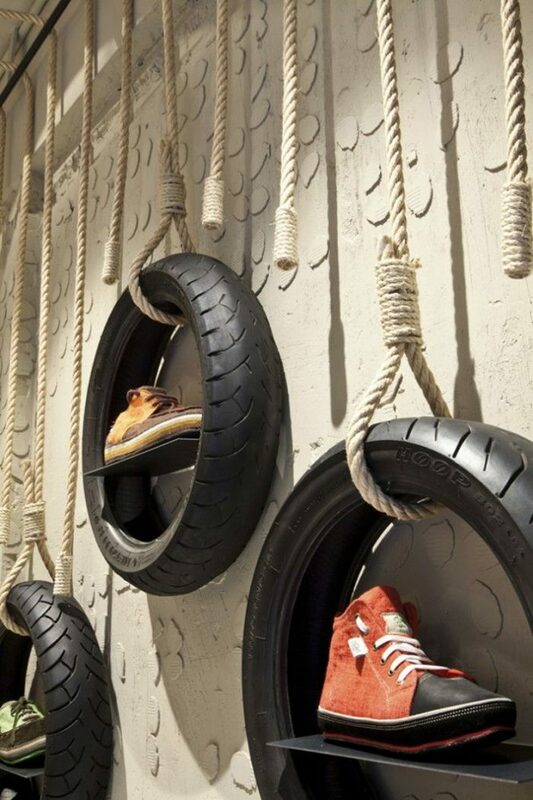 Recycled Tyre Store Display: Turn your old tyres into high quality rubber products, such as Recycled Tire Store Display and have very creative ways to offer tires a second life. 19. 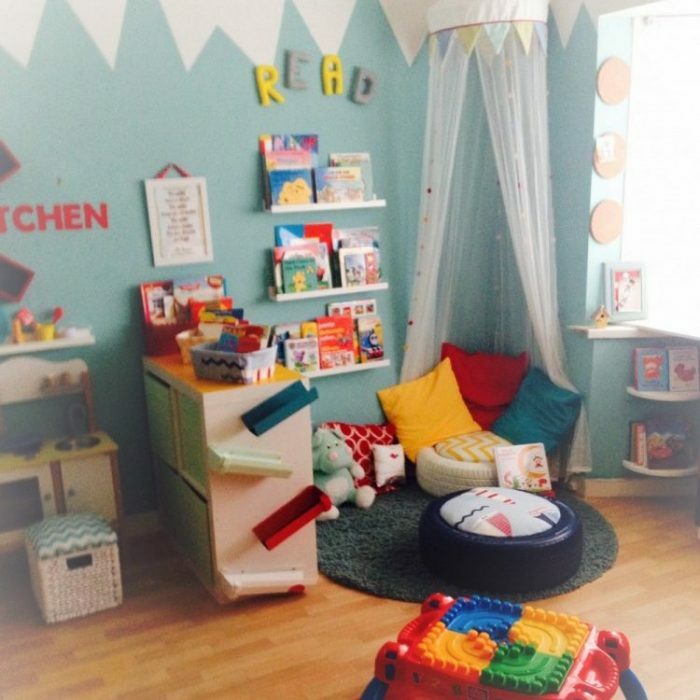 DIY Toy Shelves Using a Tyre: DIY Toy Shelves Using a Tyre project with an idea that doesn’t blow the budget and it is eco-friendly. 20. 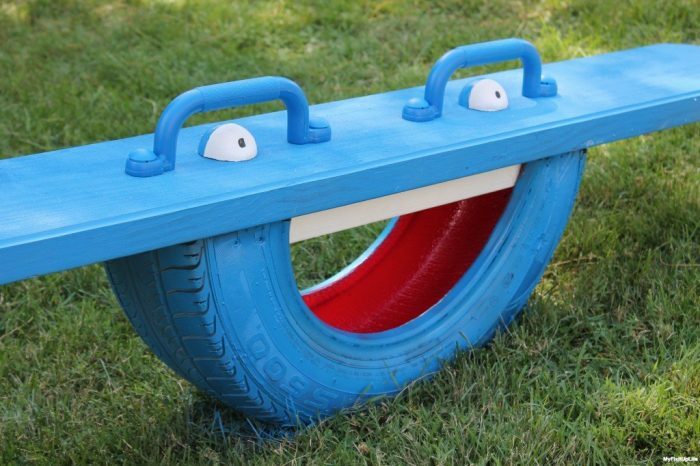 Painted Recycled Tyre Totter: Some paint and a smiley face Tire Totter is a great project the whole family can take part in. 21. 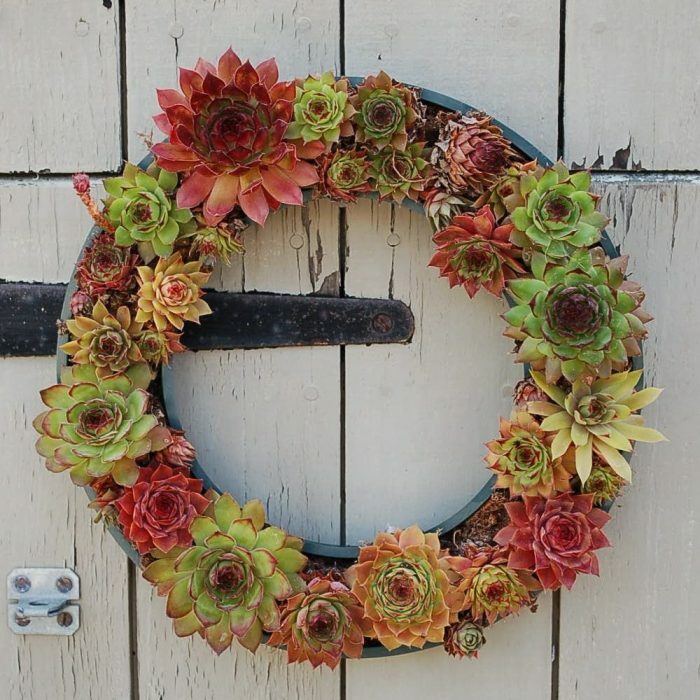 Gorgeous Recycled Tyre Planter: Gorgeous Recycled Tyre Planter is absolutely gorgeous. 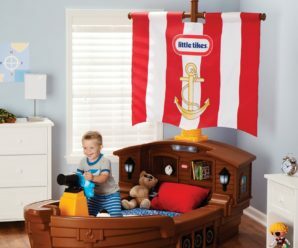 Looks like something from a high end store like Pottery Barn. 22. 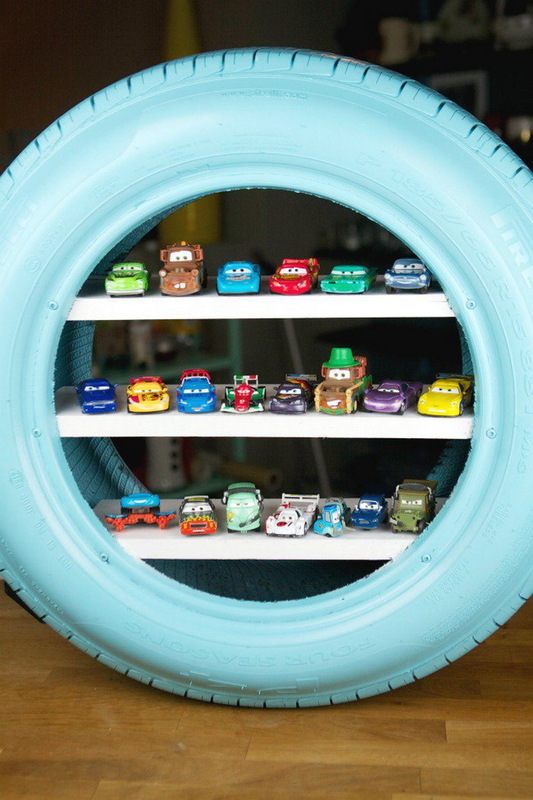 DIY Tyre Storage Bin: DIY Tyre Storage Bin a clever idea. A couple of tires secured together and mounted to a piece of plywood with some casters attached.